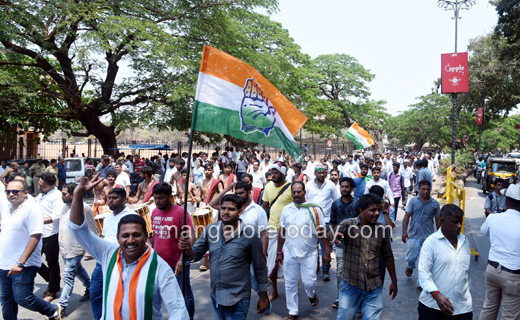 Mangaluru, Mar 25, 2019 : District Youth Congress President Mithun Rai who has been chosen as the Congress candidate for the Dakshina Kannada Lok Sabha constituency, filed his nomination on March 25, Monday. Mithun submitted his nomination papers to Deputy Commissioner Sasikanth Senthil who is also the District Election Officer. 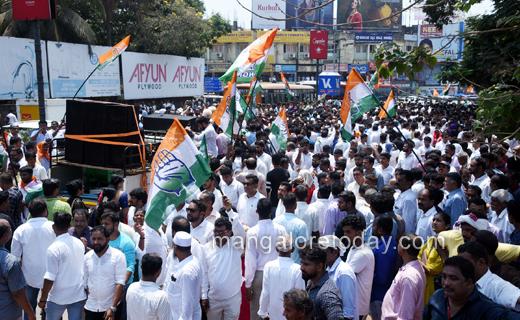 Senior Congress leaders B Janardhana Poojary, Ramanatha Rai, DK District in-charge Minister UT Khader and JD(S) leader Amarnath Shetty were present. 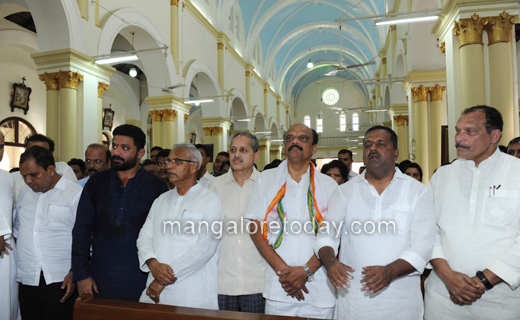 Visit to places of worship : Prior to filing his nomination, Mithun Rai visited Kudroli Sri Gokarnanatha Temple, Ullal Dargah and Rosario Cathedral He also participated in a Convention at Town Hall and later proceeded to the DC office in a procession. 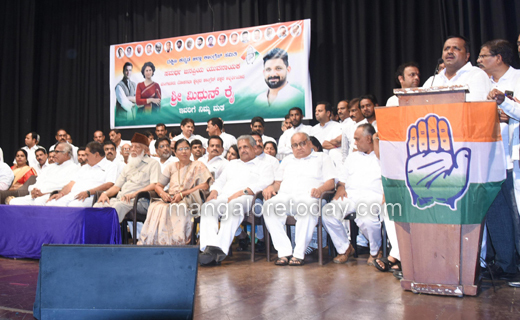 Speaking at the Town Hall meeting, senior leader Janardhana Poojary exuded confidence of the victory of Mithun Rai. He also declared that he will stop visiting religious shrines in the event of Mithun’s defeat. 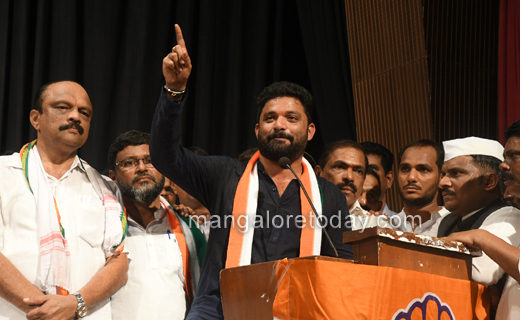 Speaking on the occasion, an emotional Mithun Rai thanked senior leaders for recommending his name and made it clear that he would be the voice of the youth. He also appealed to give him one chance to serve the people and urged party men to strive ceaselessly for the victory of the party. 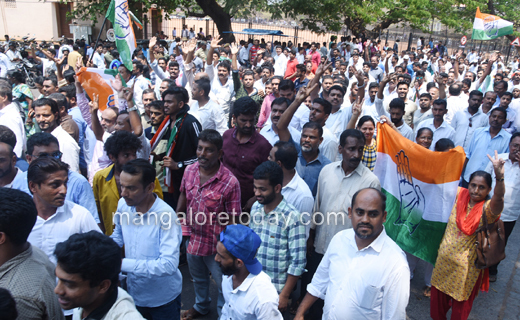 MLC Ivan D’Souza, former MLAs Moidin Bava, J R Lobo, District JD(S) Chief Mohammad Kunhi and others were present.